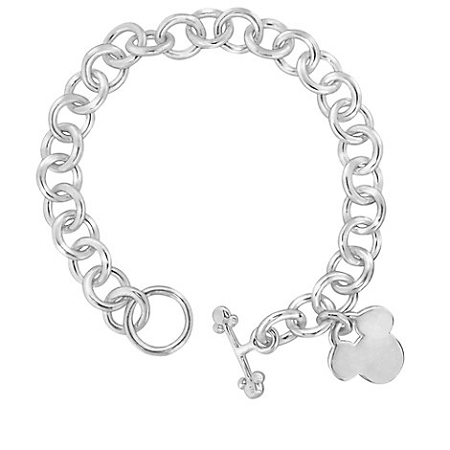 Our Sterling Silver Mickey Mouse Charm Bracelet is an instant classic. 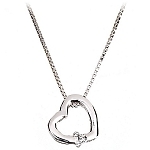 Made of sterling silver, it features a highly polished Mickey Mouse charm. 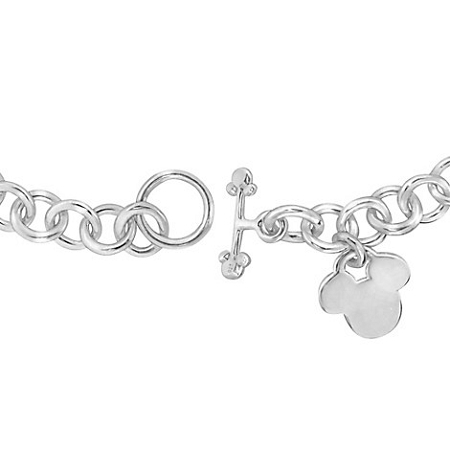 Destined to be a favorite piece of jewelry, it mixes fun and sophistication as only Mickey can.